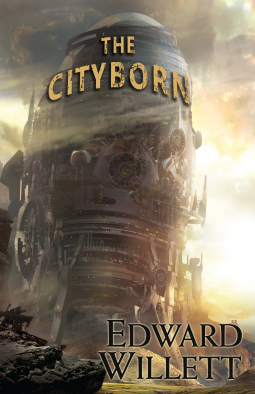 Publishers Description: The metal City towers at the center of the mountain-ringed Heartland, standing astride the deep chasm of the Canyon like a malevolent giant, ruled with an iron fist by the First Officer and his Provosts in the name of the semi-mythical Captain. Within its corroding walls lies a stratified society, where the Officers dwell in luxury on the Twelfth Tier while the poor struggle to survive on the First and Second, and outcasts scrabble and fight for whatever they can find in the Middens, the City’s rubbish heap, filling the Canyon beneath its dripping underbelly. Review: This was some crazy shjt. Not that anything is new under the post-apoc/SciFi sun, but the way it was constructed and interleaved with the characters makes it inescapably poignant. Danyl is a great character and fills the pages with some no-nonsense reasoning, especially as it applies to dipshjt…er, Alania. See, Alania is extra speshul and mostly walks around dazed and confused. When not being petulant she mumbles while in a state of shock. She soon grows out of her innocence and develops into a passable character. “So why you no give 5 stars!!”. Quite a few Deus Ex moments littered the story line and the ending was just kind of ‘meh’. Still, an entertaining read.